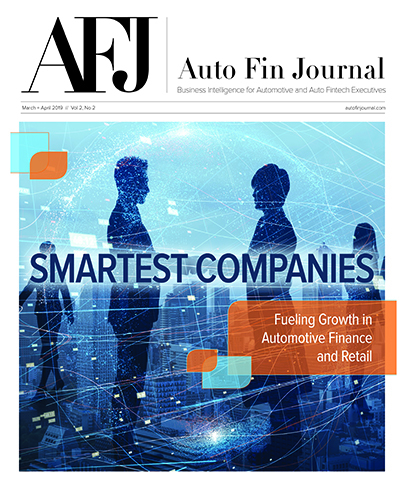 Whether a consumer is buying a personal care item costing just a few bucks or financing a vehicle purchase involving thousands of dollars, Experian insisted that digital commerce has changed the way consumers interact with businesses. Experts see how commerce is moving from face-to-face transactions to anonymous relationships built on trust. Difficult to achieve and earned over time, Experian sees trusted online relationships are based on businesses providing a secure environment and a great customer experience. In light of that backdrop, Experian’s Global Identity and Fraud Report found that 74 percent of consumers see security as the most important element of their online experience, followed by convenience. While businesses often have invested in one at the expense of the other, Experian discovered that consumers across the globe expect both. So much so that 70 percent of them are willing to share more personal data with the organizations they interact with online, particularly when they see a benefit such as greater online security and convenience. “Security and convenience are the bedrocks of a dynamic digital marketplace that effectively manages risk and delivers a seamless experience,” said Steve Pulley, Experian’s executive vice president and general manager of global identity and fraud solutions. “The availability of information consumers share with businesses makes this possible, but it’s the same information that puts them at a greater risk for fraud, making trust more important than ever,” Pulley continued. Findings from the study also reveal that consumers and business leaders agree that security methods enabled by new technologies and advanced authentication solutions instill online trust. In fact, consumer confidence grew from 43 percent to 74 percent when physical biometrics was used to protect their accounts. Experian learned that businesses also are beginning to embrace the changing technology. Half of organizations globally reported an increase in their fraud management budget over the past 12 months. “Trust begins with a business’s ability to deliver more from the information they already have and to use advanced technologies to identify their customers and provide a relevant experience without increasing their risk exposure,” Pulley said. The report went on to discuss how many businesses are proactively sharing with customers how they use their personal information. The report found that nearly 80 percent of consumers say the more transparent a business is about the use of their information, the greater trust they have in that business. The report revealed that 56 percent of businesses plan to invest more in transparency-inspired programs such as educating consumers, communicating terms more concisely and helping consumers feel in control of their personal data. To develop the study, Experian interviewed more than 10,000 consumers and more than 1,000 businesses across 21 countries around the world. • Fifty-five percent of businesses reported an increase in fraud-related losses over the past 12 months, particularly account opening and account takeover attacks. • Sixty percent of consumers globally are aware of the risks involved with providing their personal information to banks and retailers online. • Ninety percent of consumers are aware that businesses are collecting, storing and using their personal information. • Concern for fraud and increased fraud losses are highest among businesses in the U.S.
• The U.S. and the U.K. lead with the biggest increase in fraud management budgets over the past 12 months, with three-quarters of businesses budgeting more for fraud management this year. Experian’s identity and fraud business comprises more than 300 fraud experts around the world working to protect people’s identities and fight fraud for businesses across multiple sectors, including financial services, telecommunications, retail/e-commerce, insurance, government and healthcare. The full Global Identity and Fraud Report can be downloaded here.